The Institute of Museum and Library Services announced May 1 that the Museum of Natural and Cultural History has won a 2018 National Medal for Museum and Library Service, the nation’s highest honor given to museums and libraries. Nominated for the medal by U.S. Rep. Peter DeFazio and Sen. Ron Wyden, both Oregon Democrats, the museum is among 10 2018 medalists nationwide and is the sole West Coast recipient. 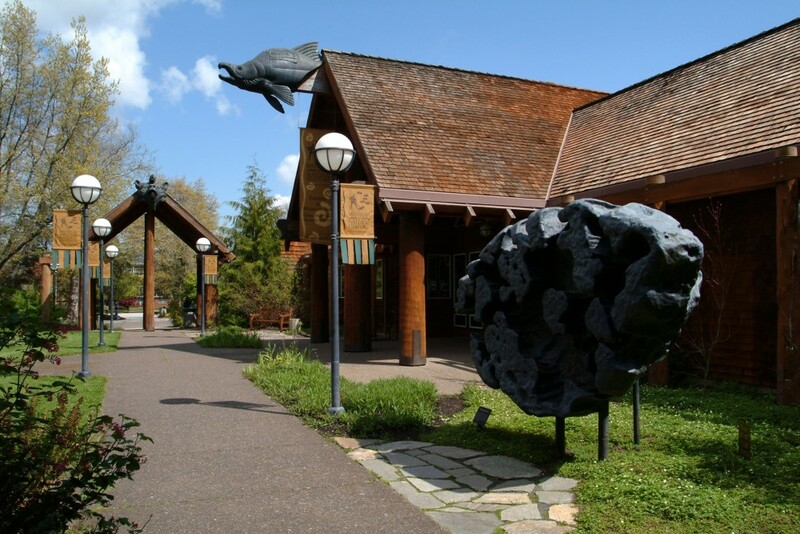 The honor recognizes the ways that the UO museum serves Oregon communities, with special focus on its statewide educational outreach program. The museum's program, which travels to K-8 classrooms and public libraries, brings fossils, artifacts, and lively science lessons to communities around Oregon. The lessons emphasize inquiry-based learning, investigation of objects from the museum’s teaching collections and new perspectives stemming from research at the museum and the wider UO. The award will be presented at the U.S. Institute of Peace in Washington, D.C. May 24. Jon Erlandson, the museum’s executive director, and Jami Young, a school librarian with the Central Point School District, will accept the award on behalf of the museum. Central Point is among the Oregon school districts that have used the museum’s outreach program since its inception in 2015. During the award ceremony, Young will provide a personal account of the effect the programs have had in her community. Since its inception, the program has reached schools and libraries in nearly every county of Oregon, serving almost 20,000 individuals. The majority of these learning experiences — 73 percent — have been delivered in rural communities with limited access to museums and informal science learning opportunities. Erlandson called it “a great honor” to be nominated by DeFazio and Wyden and recognized by the institute. U.S. Sen Jeff Merkley, also an Oregon Democrat, recently congratulated the museum on the honor. Following the ceremony, StoryCorps, a national nonprofit dedicated to recording, preserving and sharing the stories of Americans, will visit Eugene to gather community members’ stories of how the museum has affected their lives. The stories will be preserved at the American Folklife Center at the Library of Congress. For a complete list of 2018 recipients and to learn more about the National Medal winners, visit the institute website. The Institute of Museum and Library Services is the primary source of federal support for U.S. libraries and museums and advances such organizations through grant making, research, and policy development.